Artists: Jennifer Finnie, Michael Bateman, Patricia Williamz, Malcolm Sands, Sarah Knights, Neville Cottee, Andrew Finnie. Medium: Acrylic on canvas on board. At Newcastle Art Space until May 25th. Commitment is the essential factor for an artist. Continuing to proceed regardless of the barriers faced is the key to success. And this seems to be the maxim held by a group of artists exhibiting at present at Newcastle Art Space. Having met initially through a course at the Newcastle TAFE they eventually acquired a studio at the Newcastle Community Art Centre. So began weekly sessions where art became integral. In this their 9th exhibition as the “Seven Painters”, Sarah Knights is a newcomer. Her acrylic paintings realise the colour symmetry of Newcastle effortlessly. “Winter at The Baths” works particularly well. Title: Coal Trains, Port Waratah. Newcastle is also a much loved subject for Andrew Finnie and Michael Bateman. Bateman’s work has a tighter more precise execution happening while Finnie offers a scumbling effect leading to a looser finish. 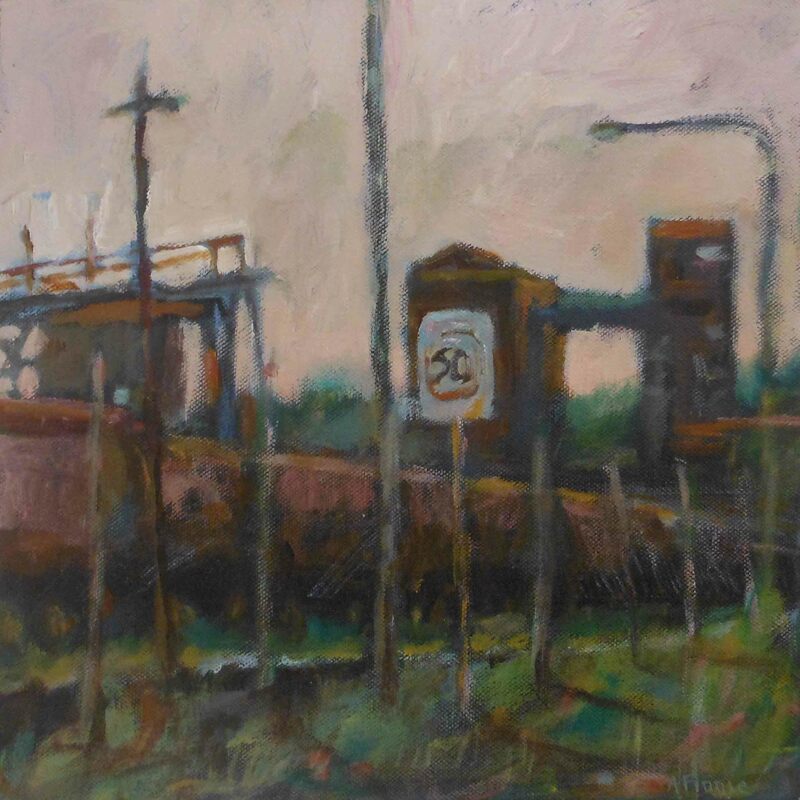 Finnie’s acrylic on canvas, “Coal Trains, Port Waratah” has a peculiar perspective but the form is expressed well and demonstrates his ability with the brush. Abstraction is the focus of artist Patricia Williamsz. Her large works suggest a microscopic insight into the shoreline particularly rock pools. Jennifer Finnie also captures the essence of nature. 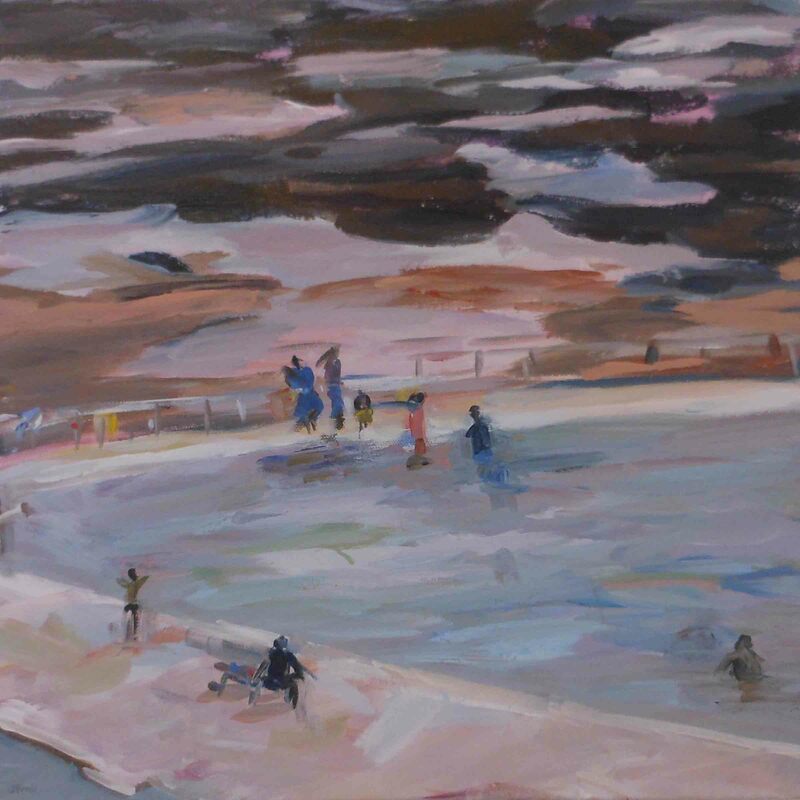 Her aptitude is admirable and the dense conglomerate of deliberate brush marks especially in “The Last Swim, Merewether, February 2014”, demonstrates an abstract quality. A close look at the figures shows how simple shapes can create motion. If these were arduously handled all spirit would be lost. Title: The Last Swim, Merewether, February 2014. Neville Cottee has a tormented unease in his work. His art appeals in part through his conviction to step away from the safety of the familiar in subject matter. However on another level this body of work delves into the depths of the soul. 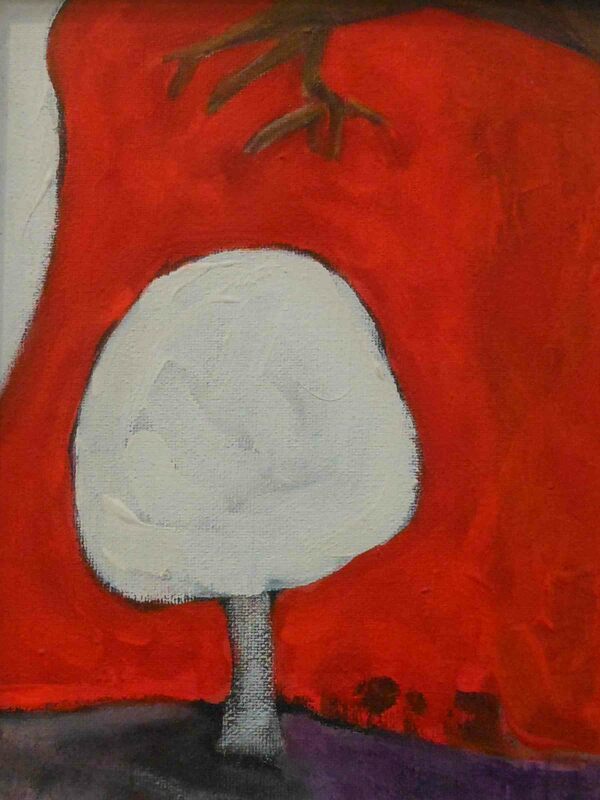 White stark and rigid against a brilliant red sky in “White Tree” suggests a terrifying abandonment. The creepiness of the branch loitering is evil and anguished. The subtle colour palette of “Summer at Maitland” by Malcolm Sands is serene and modest. In this complicated and increasingly busy world the relief of this tranquil painting makes for a relaxed transition. If the suggestion is true Maitland is a utopia idle in this manic culture. The Seven Painters – Celebrating 14 years is on exhibit at Newcastle Art Space until the 25th May. Great artworks, an a great review. Impressive by all parties.